High-impact plastic stock fits all NEF and H&R rifles, plus 12 and 20 gauge shotguns. Adjustable length of pull spacers allows for individual adjustments and a precise fit. 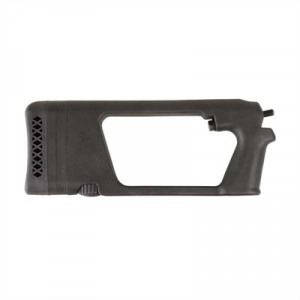 One inch, rubber recoil pad softens felt recoil in large caliber rifles and shotguns. 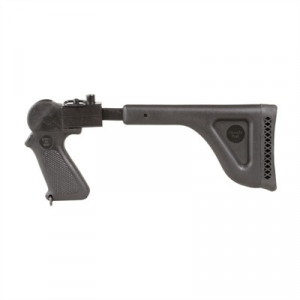 Stock is designed for use with scope sights (drop not sufficient for open sights) and is skeletonized for light weight. A thumbwheel in the bottom of the stock works as an adjustable quicky-rest for bench shooting. Mfg: Choate SPECS: High-impact plastic, matte black. 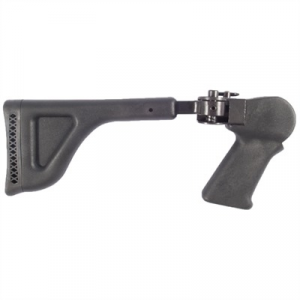 Fits all NEF & H&R Handi-Rifles.